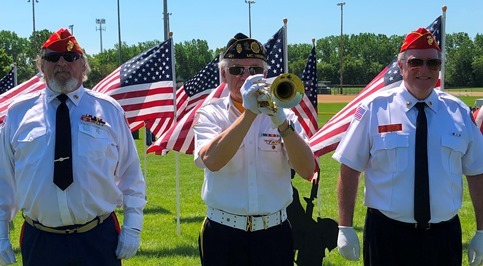 Members of the Rotary Club of McHenry are patriotic, meeting at Noon every Thursday at the Veterans of Foreign War in McHenry, IL. 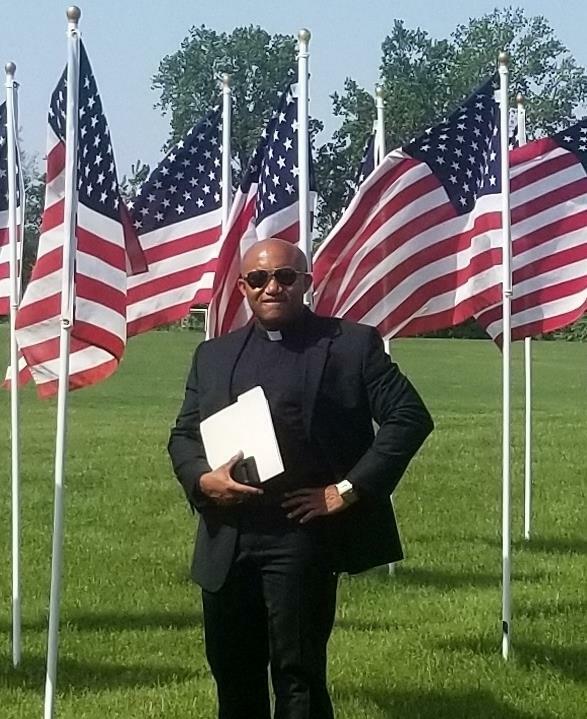 This patriotism goes beyond meeting at the VFW, various Members are active in honoring those who have served and protected We the People of the United States of America. 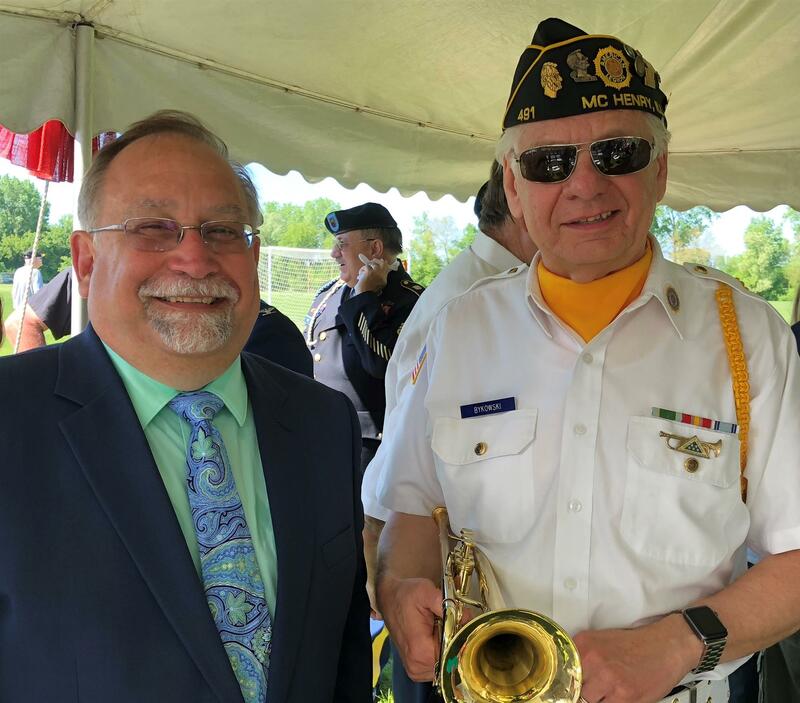 Craig Adams (on the left, is a Club Member and President Nominee, as well as the McHenry Township Supervisor) and others organized bringing The Wall the Heals to Johnsburg. Ron Bykowski (on the right is a Club Member and Chair of the Rotary Club of McHenry Charitable Foundation, Inc.) are pictured below as ceremonies began on Sunday, May 27, 2018.